Limit 1 per person. 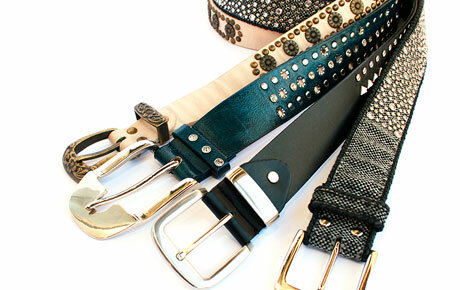 Valid on designer belts. Promotional value expires 365 days after purchase. Advertising solicitation prohibited. Some people would rather keep their pants up with an extension cord than suffer the indignity of wearing an ugly belt. Keep up your style as well as your pants with this deal for 50% off designer belts from Chrisma Urban Wear in Janesville, WI ($10 value). In business for 10 years, Chrisma offers the latest urban fashions in clothing and accessories such as fitted hats, snapbacks, jewelry, purses and shoes. With a selection of body oils you can smell as good as you look or give a relaxing massage. They also have a large selection of men's and women’s shirts that are sure to show up the rest of your closet. Their assortment of sunglasses will guard your eyes from the sun while letting you maintain your best swagger. Grab a hold of this stylish deal to impress your posse.